Of all the sports, golf may be the one that most people have played exactly “once.” After hitting those first few shots, the idea of ever launching the ball high and straight can seem hopeless. For those who persevere and take on the challenge of learning how to play this great game, there is good news. It costs more to take up golf than most other pastimes but the fact that it is so difficult plays into the newcomer’s favor. Golfers are always looking for the next best thing in clubs, and as a result, many perfectly fine drivers and irons find their way to the secondary market. Beginners can grab a set of used clubs, many with little wear and tear, for a fraction of what they cost new. You don’t have to rely on eBay either. We sell used golf clubs in our retail store and sell discontinued prior generation models on our website. As you play, you’ll soon realize what clubs will fit you best, so there is no need to buy the newest clubs on the market until you’ve figured out what you’d benefit from using. The same goes for golf balls. 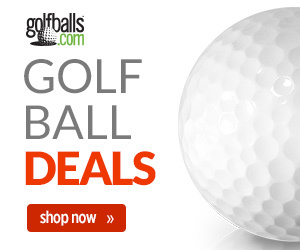 Beginners will find that there is quite a range of golf ball prices – from the low teens to over $40 per dozen. New golfers may not want to look at buying new golf balls even at the lowest end. Why? First-year players are going to hit shots they would not even think possible when standing over the ball. In other words, they are going to lose a lot of golf balls. It is not uncommon to roar through an entire sleeve of three new golf balls on a single hole. This does not mean that new players should only use old balls harvested from the woods and ponds. Balls that are rejected at the factory, most often for a bad paint job and not a fault in construction, are marketed as “X-outs.” They may say “practice,” but these are ideal golf balls for first-time players. 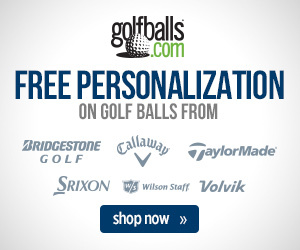 Another good option are “overruns,” logoed balls that have bad printing or no printing or have been over-produced. Both options are perfectly usable, brand new balls that are typically sold in bulk without the fancy boxes. Once a golf club set and balls are assembled the next step should be lessons. This does not mean an expensive one-on-one session with a golf professional. The best first step is a group lesson that will cover the foundations of the game – grip, stance, basic swing goals, what each club is designed to accomplish. Once you have played a while and built the semblance of a “game,” then it is time to visit a teaching pro to make improvements. If you happen to live near our Retail Center in Lafayette, Louisiana, we also offer lessons. As you spend more time on the course take some time to learn the etiquette of the game such as where to stand when other players are hitting, fixing pitch marks on the green and divots in the fairway, and raking bunkers. Also, familiarize yourself with the basic rules of the game that guide play and scoring. Doing these simple things will make even the newcomer welcome in any golfing group. Next story What Makes Equipment Tour Legal? Previous story What Club Should High and Low Handicappers Be Using?